Are you ready for the easiest DIY EVER?! 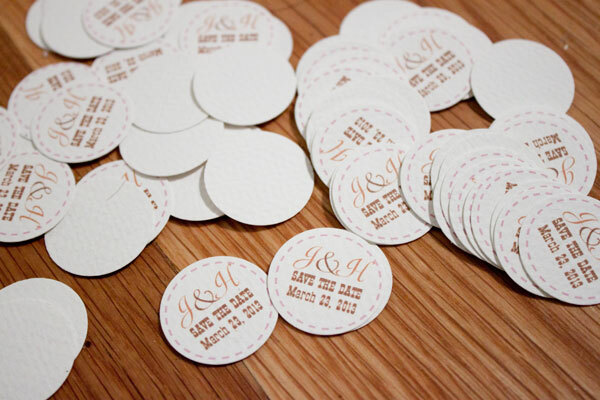 One-Inch Circle round decor and a FREE DOWNLOAD! The easiest way to personalize a cupcake, gift or party is a custom tag. All the engagement party mason jar cupcakes I made for my friend had this wonderful little detail, and you can do it too! To start click here to download a word doc that I have applied a 1-inch circle template to for you (with a quick example- but see what you can do! ), here PDF of the 1-inch circle template and here FREE Homemade Tag! 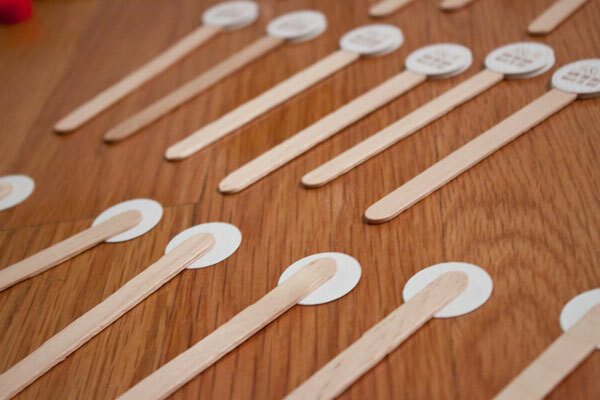 You'll need: 1 inch round paper punch, Glue, Popsicle Sticks and your print outs! (Standard Hole Punch, scissors and ribbon optional). Print out your circle design (I used Strathmore Ink Jet Watercolor paper to make them extra-fancy), and line up the design in the hole and start punchin'! I like to have 2 for every popsicle stick so it can be double-sided. Using a drop of glue (I used crazy glue because I had it in the house but most kinds of glue, including Elmer's, will work- it's just paper!) glue 1 circle to the popsicle stick (the top of the stick should reach the center of the circle). Flip 'em over and repeat. Optional / If you want to hang them, use a standard hole punch and punch towards the top (in the center) of the circle. Careful not to go too close to the edge, the hole could rip, and also take into consideration where you will need to punch the small hole when you are putting together the design! For the Homemade Tag (pictured at the top of the post) carefully cut out using scissors and use the small hole punch so you can insert the ribbon and get decorating! Try downloading some fonts to fancy-em-up. 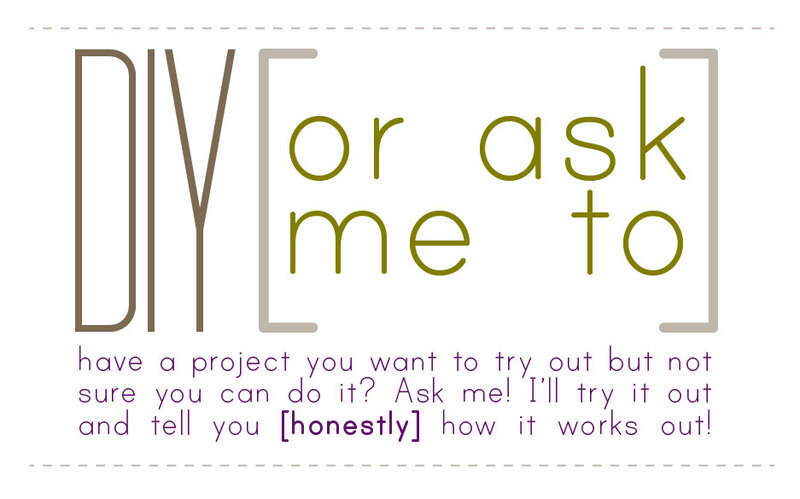 I want to hear from you! What other types of downloads would you like to see? Did the Word Doc work out ok? Let me know!